Yep, I’m fasting–not eating meat from Monday through Friday, and only a small amount on Saturday and Sunday. You know for Lent you are asked to give up something, and most people give up some form of food. Does it bother me, not really, but kind. You know what I mean when you give up something then you tend to want it even more. 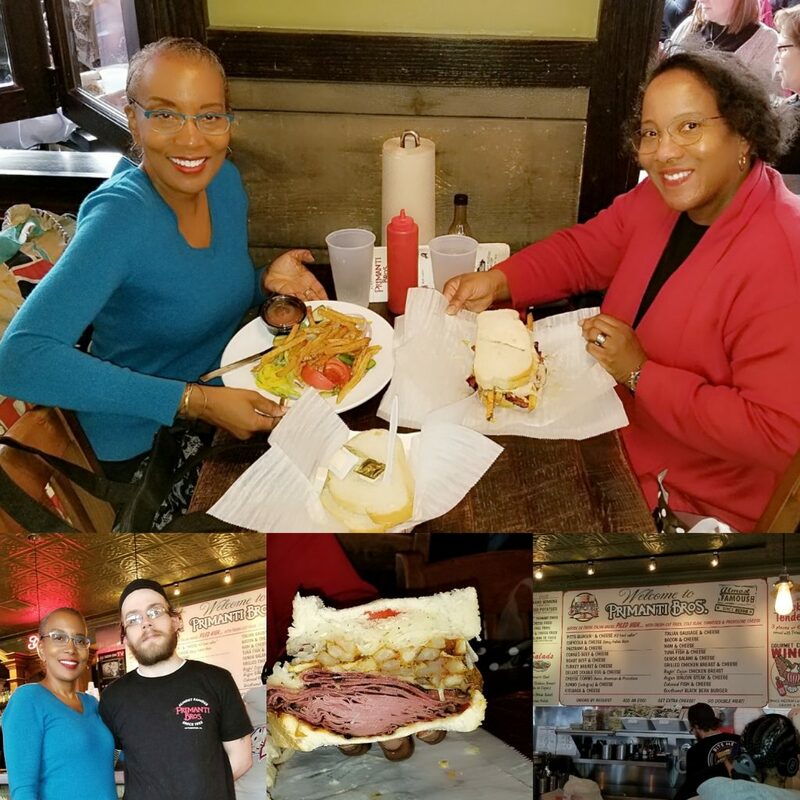 I even went to the world famous Primanti Bros. in Pittsburgh, Pennsylvania with their huge sandwiches, and ate a green salad. Who knew they put French fries on their salad and name it a Pittsburgh salad–there is justice in the world. I not only gave up some form of food I decided to give up something else. Something that I have been talking about for years. I decided to give up self-doubt and second guessing myself. Even as a woman of a certain age I still have self-doubt and continue to second guess myself. Not eating meat has led to some changes in my diet and in my overall health. Has the cutting back on the consumption of meat (in this case it does include fish and poultry) caused me to have weight loss–no, but I haven’t gained any either. I’m still maintaining. But the elimination of self-doubt and second guessing has made a major difference in my life and attitude. It’s a freeing feeling, one that is hard to explain. It’s a good feeling. Some people have given up shopping, eating sweets, eating fried foods, eating carbs–food, food, food. This guy told me he was going to give up exercising. The problem being he doesn’t exercise. Years ago a minister said maybe we should give up something other than food–something like maybe gossip so I tried giving up self-doubt. Will I ever have self-doubt again? I’m sure I will, but it will quickly disappear because I’ve learned to control it. Will I ever eat meat again on Monday through Friday–you betcha. But I really don’t miss it. As women of a certain age, we need to be in control of our lives to make them better. What are you giving up to make your life better? By the way in addition to giving something up, you are to pray/meditate more. Maybe that’s the reason I can conquer self-doubt and second guessing myself. Remember “thisisyourbestyear”. 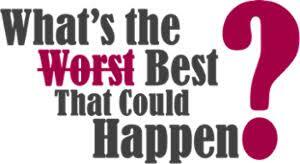 Instead of saying what’s the worst that could happen, ask yourself what’s the best that could happen–then make it happen.